Lee Maracle’s (Stó:lō) “Yin Chin” and SKY Lee’s Disappearing Moon Café have inaugurated a literary tradition of acknowledging and restoring Asian-Indigenous relations in the field of Asian Canadian studies. 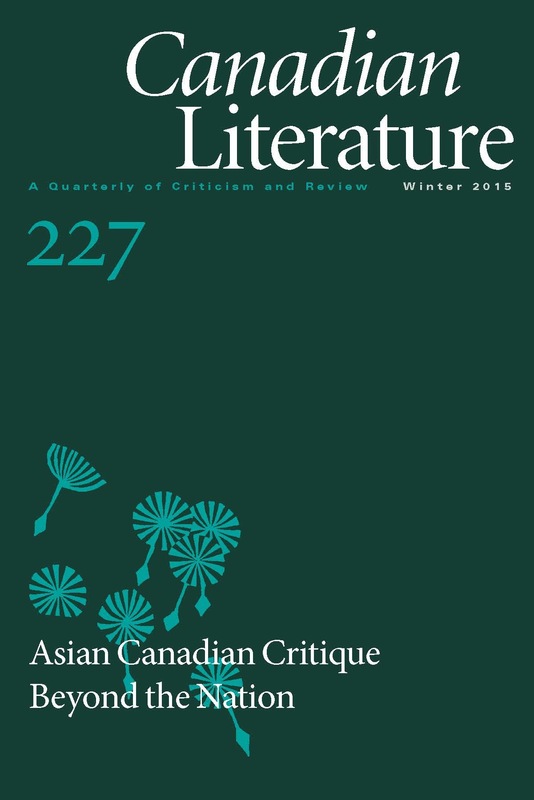 This study extends their intertextual conversation on the impact of racism and colonialism on Asian-Indigenous relations to consider the ways in which contemporary Asian Canadian settler citizens, migrants, and refugees may inherit not only the legacies of white supremacy, global capital, and settler colonialism but also the historical and ongoing relations of Sino-Indigenous indebtedness. Presenting an allegorical reading of Asian-Indigenous relations through scenes of settler/migrant/refugee indebtedness and gratitude represented in several Chinese Canadian literary texts, as well as Kim Thúy’s Ru, I argue that the literary tradition of Sino-Indigenous indebtedness has the capacity to generate a sense of mutuality and self-critique amongst all Asian Canadians to consider their role and responsibilities within the structures of settler colonialism, particularly within Asian migrant and refugee communities shaped by an enduring sense of gratitude towards the state for being granted a new life on colonized lands. Malissa Phung is a PhD candidate at the Department of English and Cultural Studies at McMaster University. Her dissertation looks at representations of Chinese labour and exclusion under the framework of Asian-Indigenous relationality. While she currently lives and works on the territory of the Neutral, Wendat, Haudenosaunee, and Mississauga peoples, she was born and raised on Treaty Six territory, where her family migrated as Sino-Vietnamese refugees.